In this section, you will learn how to create content with different budgets. 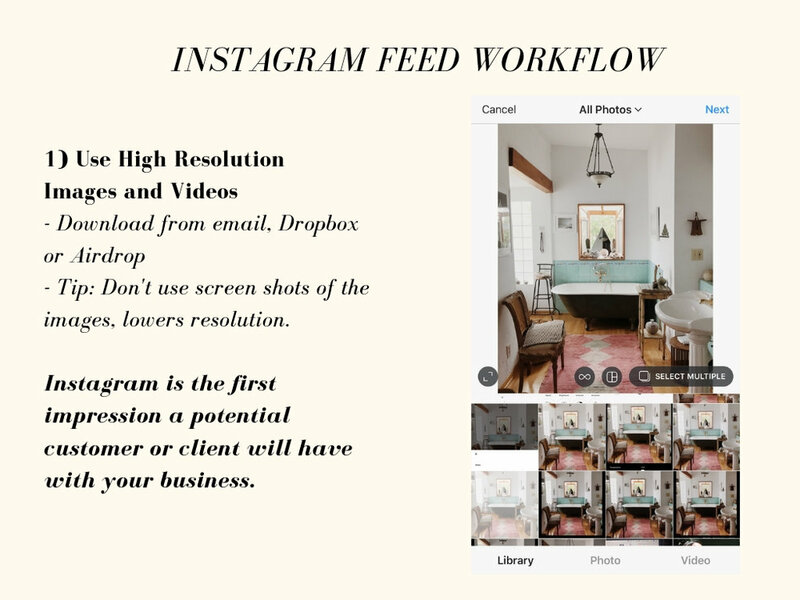 You’ll learn a step-by-step workflow for creating content for your Website, Blog, Email Newsletters, and Instagram. We will provide the standards for content production, how to hire a creative team, and what to understand in regards to image usage. Throughout this course, you’ve learned to define your intention - the first step to Content Creation. Then, you created a roadmap for your content, and now you will learn all the steps to creating content. Whether you identify as a creative or not, you are capable of creating visual and written content regardless of your budget. This course provides you with insight and the ability to produce or co-create content with a creative team. You can start by creating your own content. As your business grows, you can start hiring a creative team so that you can focus your time and energy on what’s most important - providing your clients with your offerings (services or products). Having a very limited budget doesn't restrict you as much as you think. There is ample opportunity to create content with almost no budget. With the exercises of the course, you have already done most of the work to set yourself up for success. By completing your Brand Discovery and Content Strategy worksheets, you already created some of your written content! Edit, refine, and take the statements you’ve written out to include in your Website, Blog, Email Newsletters, and Social Media accounts. By completing the Content Strategy worksheet, you mapped out the types of visual assets you need for your different Content Channels. Refer to the Content Flow Chart for the standard images you’ll need for a product or service-based business. In the next module, you will learn how to capture quality images using your iPhone. If you're not versed in Adobe Photoshop or Illustrator, sign up for Canva to create graphics and illustrations from thousands of templates. Ex: Remember the ‘Golden Tip’. If you create Graphics for your website or blog, you can repurpose it for your email newsletters or social media platforms. With some budget, you can work with a creative team to execute your vision. Refer to the Content Flow Chart on the right and your Content Strategy worksheet to provide you with insight on where to allocate your Content Production budget. Ex: For fashion brands, you can allocate your budget for a photographer and model. Find someone who has an aesthetic aligned with your brand on Instagram. We also offer creative production services, which you can explore here. Ex: For service-based businesses, we recommend investing in lifestyle portraits of you for your website. As a service-based business, it’s important that people visually see who they will meet or work with in a session. If writing is not your strongest suit, you can take the general statements you have and send to copywriting freelancers that will refine and edit your written content for a flat or by-project fee. Use sites like UpWork, ilovecreatives, or Linkedin to find a creative freelancer within your budget. We also offer copywriting services which you can explore here. The more you can invest in your Content Creation, the higher the quality of your content. The benefit of hiring a creative professional and team to execute the production for you is that you will have more time to devote to your business and offering. With a budget of over $2k, you can hire a creative team (photographer, content creator, model, producer, or copywriter). We provide the knowledge and standards of production in the next section so that you understand the production process. At Nature and Intent, we offer content creation and production services to elevate your digital presence and tell your authentic story through intentional visual and written content. View our full offerings here and past work from over 100+ brands. Most startups and established companies hire creative agencies to execute their marketing. Think of the big brands like Apple, Coca-Cola, and Nike. There's a team of marketers, account managers, and creative professionals that produce the numerous ads and marketing content for these major brands. With the help of agencies, these brands have invested decades of branding, advertising and marketing that has elevated their products and brand values into household names. In summary, a brand hires an agency with a team of creative/marketing/production professionals that create content to deliver via different media channels targeted to the brand’s ideal customer/client/community. As you can imagine, this is a lot of work. But it’s important to note that when you hire professionals to execute your vision, you are investing in creating the legacy of your brand. At Nature and Intent, our services and offerings are a fraction of the price you’d pay for a traditional agency because we are consciously seeking to support the emerging and established brands with the intention in creating a meaningful impact. We believe that you don’t need to be a ventured-backed startup with millions in funding to create that positive ripple effect for the collective good. Unlike other agencies, we are a creative consultancy that consciously provides a holistic approach in creative, marketing, and production. Our services and offerings align your unique brand story, authentic essence, and purpose to connect with your ideal client, customer, and community. Each project is rooted in trust, authenticity, and integrity. It's important to note that the quality of the content you create can only go as far as the level of practice and skill. Because creatives spend years cultivating their skills, they are able to execute content in a way that would provide a refined execution, quality, and perspective. This is so important because Customers and Clients are bombarded with tons of options and what can set you apart is your unique content. 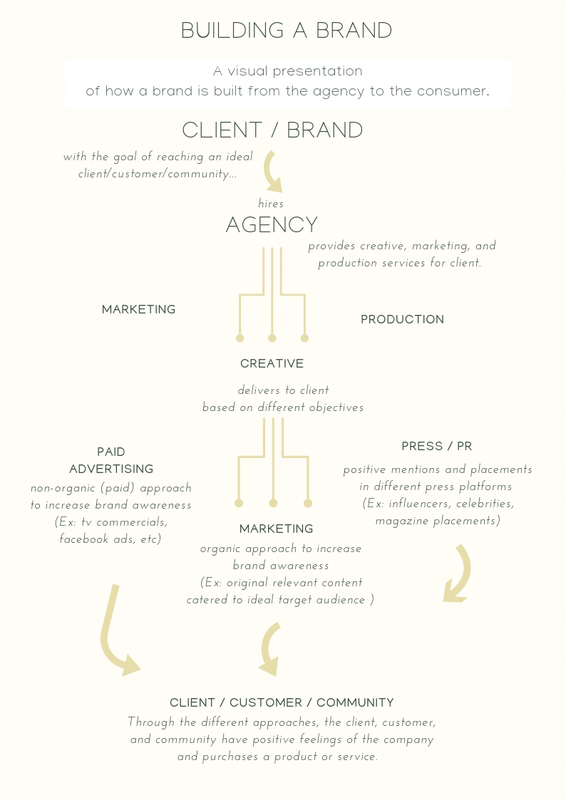 Hiring a creative team can be either a relatively easy or daunting process. Also note that freelancers and independent contractors have various levels of skill, experience, and work dynamics. Working with over 100+ brands and personalities, we've been able to strengthen our work partnerships and create seamless client experiences with clear systems and contracts. In the Contract Checklist, there is everything you need to know prior to a photoshoot and includes a contract when hiring a creative independent contractor. As a business, it's important to create clear contracts for all partnerships to prevent miscommunication. You can refer to the agreement if any issue arises and both parties know what to expect. Tip: Prepping for a shoot is essential for an efficient shoot day. When shooting on location or multiple looks or set-ups, keep in mind the time it will take for outfit changes and different set-ups. Create a shot list with your content strategy in mind. Production involves a multi-step process. Now that you've established your brand intention and a roadmap for your content. Plan the action steps for content production. - Use the Content Strategy worksheet to determine content types to create and ideal platforms you will use to distribute your content. -Create a mood board combining photos via Photoshop or pinning on Pinterest. - Find creatives in your network or hire our team for content production and support. - Typically, producers coordinate with the team, communicate the creative direction and shot list. This creates the synergy of the creative team and execution of the creative project. - Pay independent contractors, studio/venue, etc. In the wild, wild west of the internet, there is less enforcement on proper image usage. User-Generated Content is content created by others. Brands can leverage using others’ content with permission. 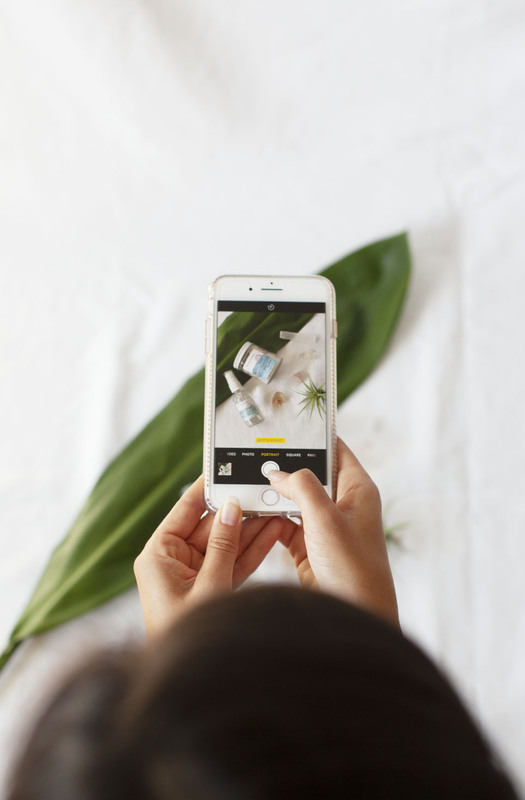 Unfortunately, there is a growing number of artists, designers, content creators, and photographers who share their work on platforms like Instagram only to have brands repurpose their content without crediting or paying for the use of their work. At minimum, creators are willing to allow use of content with proper crediting. But unless you ask permission from the creator, you actually don't have rights to use the content as it infringes on the copyright of the owner. This course was created as part of a solution to this rampant content theft problem. The creative economy is slowly but surely finding ways to enforce protecting intellectual property. To avoid legal issues, always ask for permission if you will be using UGC and credit properly within the caption of the post. Commercial use is using any work for marketing and promoting purposes. If you are a business owner, it's important to know about copyright. In music, the fee for licensing songs depends on the scope of the use. An artist or record company will license music for a national tv commercial differently than for a video online. The same goes for photography; the creation of images are owned by the photographer or content creator that creates the image. The image usage depends on the platform it is shared. The current standard and what's relevant for digital brands is a 'digital use' license for websites, email marketing and social media. If you wish to use images for print and other platforms, you can request additional licensing. Creating blog content involves writing at minimum. Your blog can also contain images and videos. Evaluate how much time you will commit to creating content on your blog and how frequently you'd like to post. Below is a workflow for blog posting. Step 1: Write a post. It's important to start a new blog introducing the reason behind the blog. In the Nature and Intent Journal, we share our intention behind the journal and introducing what we are sharing on future posts. You can share content based on your offerings and different categories of content you've defined in the Content Strategy worksheet. Step 2: Add images/graphics/videos as needed. After writing the post, include any relevant images/graphics/videos for the post. Laying out the images/graphics/videos on a blog involves some creative and design skills. Try placing in different areas within the post to see what flows aesthetically. Ideally, you would want to edit your post to check for any grammar errors. Step 3: Publish post and drive traffic. Once you have your post published, drive traffic to your blog by sharing your content on other social media platforms and/or your email newsletters. Extra Credit: Supplemental reading to help with writing your blog post. Your email list is very valuable. It's standard for online businesses selling products to have a way to communicate your offerings to your current and prospective customers. An email list serves to inform your community of any new collections, services/offerings, sales and promotions. The goal of email marketing is to drive traffic to your website. Creating personalized and captivating emails is an invitation. Step 1. Personalize the email by including the first name. Mailchimp has the option to merge tags. Learn here. Step 2. Include Visuals for your newsletter. Create or re-size images 600px. Crop and edit as needed. Include a logo to create branding. Step 3. Write the body of the email. Keep it relevant and concise. Include appropriate links. View the email on your desktop, laptop and mobile to ensure the email has no errors or broken links. Step 6. Schedule and Send! The process of creating and scheduling an email newsletter will vary based on experience. It is ideal to have ample time for creating, editing and scheduling. Creating content for social media does not need a huge budget or production. In the next section, you will learn step-by-step how to capture images using your iPhone and editing workflow. Most important to keep in mind is how the visuals and content will be viewed. You are creating a digital experience for your audience. Test different tones and repurpose content from your website and blog for social media, creating slices of the 'pie'. Step 1. Choose an image from your Camera roll. Step 2. (Optional) Curate your grid using a content planning app like UNUM. Create a visual story and flow to the grid. Share the full image or crop the image to square. Step 4. Add your caption, relevant hashtags, geo-location, and tag accounts and mentions.